After waking from his decade-long crystal slumber, Noctis emerges from his prison with Bahamut's blessing. He takes Regis's boat to Galdin Quay only to find it completely abandoned and overtaken by daemons. Your journey starts here as Noctis tries to make his way back to Hammerhead and reunite with his friends. Fight through all the enemies until you reach the main road. There is one monster in particular called Lich that can inflict Toad. So hopefully, you have some Maiden's Kiss on hand to counter this. 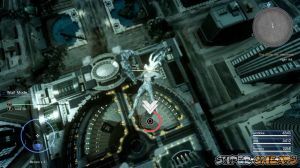 Enemies in general range from 20 to 30 level-wise. Perfectly manageable for you at this point so long as you don't get cornered too much. Anyway, trek on foot for a bit once you reach the main road, until an old friend shows up in a truck and takes you the rest of the way to Hammerhead. The outpost is quite a bit different from the one you were used to seeing, but fortunately there's a gear vendor and the item shop is still open. 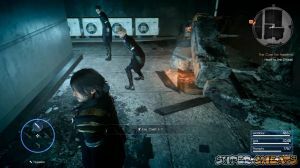 Buy all the new equipment you can for Noctis and restock on items. The others already have the latest gear equipped by the way, so don't bother buying multiple copies of weapon. You can also speak to Talcott if you want info on specific subjects, and rest up in the caravan if you want. Leave the outpost for Insomnia when you're ready. Main Quest - The Cure for Insomnia It is here in Insomnia that you will find some of the strongest monsters in the game. Most of them can be ignored and should leave you alone if you stay out of their way. However there is one level 72 daemon that you must defeat in order to gain access to the underground subway, which unfortunately is the only way to progress. I haven't actually tried using Alterna from the Ring of Lucii on that monster, so I don't know if it works. But go ahead and try that to save yourself the trouble should it successfully send the creature to the void. Still you should try to explore as much of the city as you can to find freebies, one of which is a Fire Crest tucked away in the back alleys at the southwest sections of the area. If you continue all the way to the southwest corner, there is a small section on the map that hides a Megalixir behind some debris. Now head underground, pushing switches to open the gates and move on. There are small alcoves off to the sides as well that you should check for shinies, including a Mega Phoenix. Make your way to the other side and you should emerge in a different part of the city. Head for the quest marker after you kill the Behemoth that was in the way. Go ahead and open the gate to the Citadel when you get there. 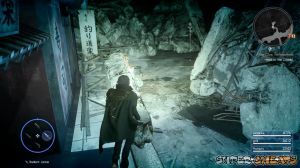 Walk to the staircase to find Ardyn waiting there with Ifrit. Now for the battle with Ifrit. This encounter has two phases where the Astral will be considerably weaker during the first phase. For now regular attacks will suffice so best save your ice spells for the second half. 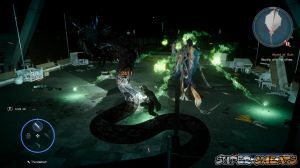 Once Ifrit has just a tiny amount of health left, you will be able to summon Bahamut and have him finish the first phase of the fight. For the second round, you'll find that Ifrit has become way more aggressive with his flames seemingly fiercer. This is the time start throwing those Blizzaga spells if you have them to temporarily douse the all that fire and allow you to move in without getting burned. 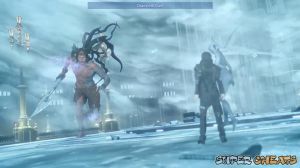 Ifrit can also teleport to grab Noctis then toss him high in the air. This will trigger a QTE sequence where you have the opportunity to deal significant damage if done right. For the most Ifrit will be surrounded by fire and will mostly be difficult to damage with physical attacks. Although any damage from Armiger seems unaffected. So use that each time it becomes available. Still this can take a while and some patience at gradually chipping away at this thing's health will eventually pay off. Although it definitely helps if you have tons of ice spells to spare so you kill the fire which in a way also disables the shield. Summon Shiva once Ifrit has a small of HP to defeat him. With Ifrit dead you can finally enter the Citadel and take the elevator up to the throne room. Go in there and confront Ardyn for the last time. This is a very basic battle where the evade and counter tactic really shines. Also remember that Ardyn can warp just like you. Wait for him a start a combo and evade so you can counter with your own combo after. Always block when the prompt appears then parry to start a QTE sequence. Mash the attack button to fill the gauge and damage him. Block and parry when his weapon starts glowing pink for extra damage. Cut his health down to half and it becomes a battle of Armigers. 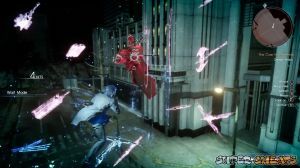 Attack him relentlessly while keeping an eye on your HP because Noctis actually takes damage this time, unlike the encounter with Leviathan. 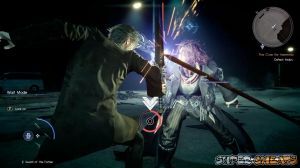 Soon enough once Ardyn only has a tiny chunk of HP left, you'll be back on the ground so hit the dude a few more times to start the QTE sequence that will finish this fight.